35%. Woot. I think that is the highest I’ve had since I started keeping track. 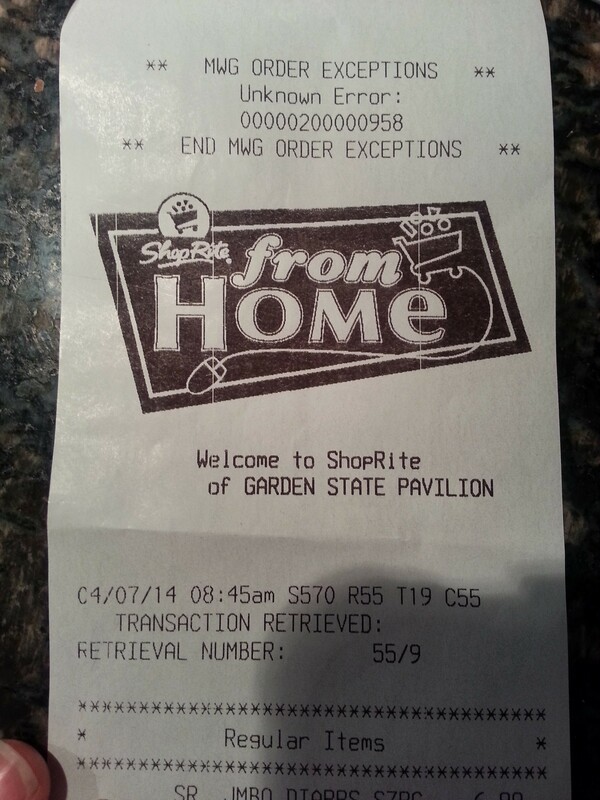 ShopRite had another “spend $150, save $20” promotion and I had $21 in coupons. I spent $208 and saved $112. 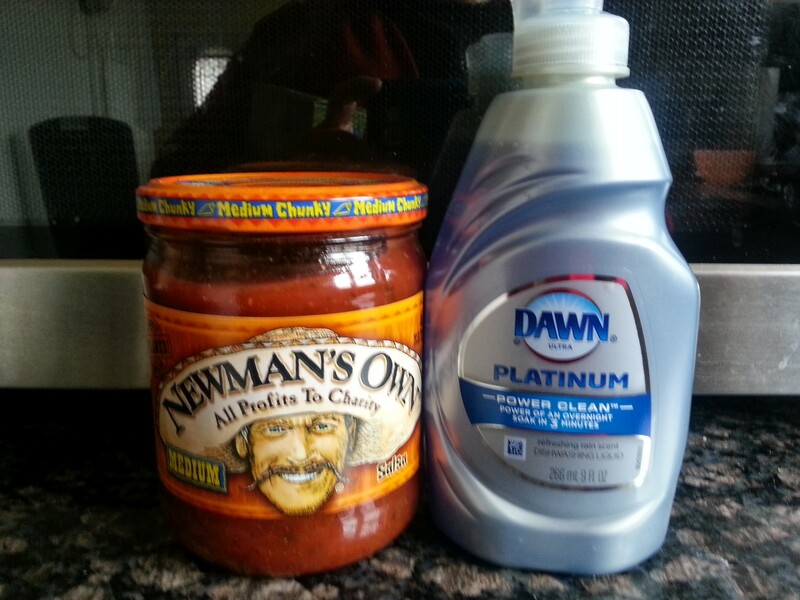 Best deals: FREE Dawn detergent and 50-cent Newman’s Own salsa. I only got one of each. Technically, I should have used my husband’s computer to print more coupons for those. Usually you can use up to four of the same coupon. But that didn’t happen. I also left a ketchup coupon on the printer by mistake. I’m only human damn it! I’m going to try really hard to make real meals all this week. Right now I have chicken breast marinating in a from-scratch marinade. I have a lot of chicken breast and filet mignon in the freezer because last week we got a visit from a man selling boxes of individually wrapped meats. He talked very fast and pulled out every sales and discounting trick in the book. I was ready to send him on his way but my husband got involved so now we have all this meat that apparently fell off a truck. Boy, those trucks. You’d think they’d have figured out a way to secure them by now.